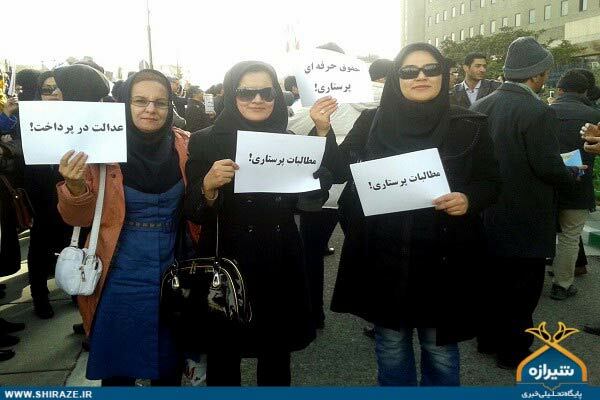 The Nursing Associations in Yazd and Khorasan Razavi have issued a statement denouncing the termination of four hospital nurses at Tehran's Amir Alam Hospital for taking part in labour protests. Salamat News reports that the termination order was issued by the Tehran Medical Sciences Board of Administrative Offences. Two of the fired nurses are members of Tehran's Nursing Association. "If participating in labour protests leads to termination, what should be the penalty for the ministry of health officials who have caused these grievances by their imprudence and ill-considered actions?" the head of the Yazd Nursing Association asks. Nurses have been demanding the implementation of the Nursing Tariff Act, which was approved eight years ago but has not been implemented due to the lack of an adequate budget. The ministry has implemented performance-based payments, which has caused widespread protests in Tehran and several other major cities. Nurses maintain that the system is creating an unfair gap, where many classifications with lesser responsibilities and duties are receiving higher pay than nurses.